The contemporary designs and colours within these rugs are made for the crisp lines and modern decor of your home. By matching the beautiful blues, greens, purples and Brown from the rugs in this collection with statement pieces within your reach such as Stata cautions, artwork and ornaments you can bring the entire space together and create a beautifully modern look. 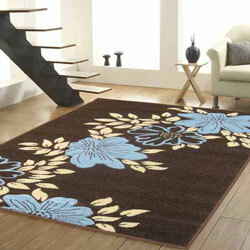 Not only are these cheap rugs stunning to look at, they are also excellent quality. They have a dense, long-lasting and colourfast pile that is hand carved to create stunning finish and a rug fit for any home. Rapello rugs have a dense pile that is hand-carving and beautifully finished.